Mine DVD and Blu-ray release date was set for June 13, 2017 and available on Digital HD from Amazon Video and iTunes on April 4, 2017. 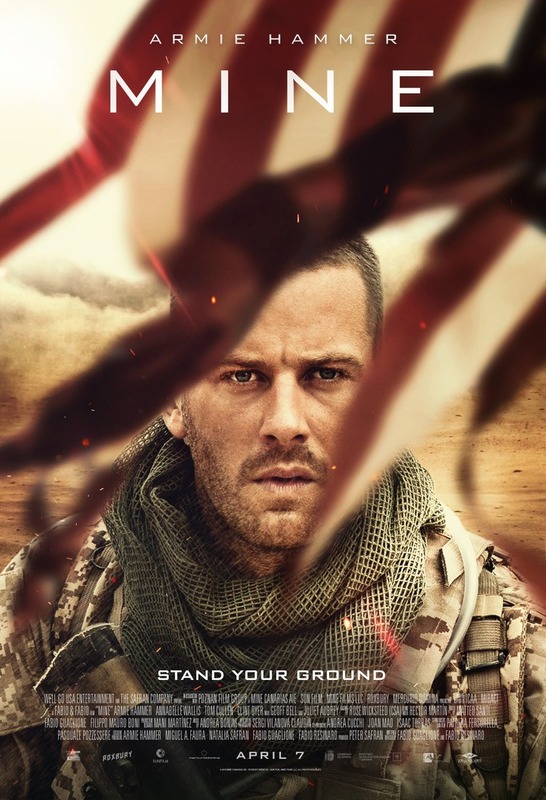 When a solider finds that he is lost in the desert, he quickly realizes that his chances of survival are growing dimmer and dimmer with each passing moment. With the harsh environment closing in on him, he also starts to experience the psychological fallout from his war-torn existence. As a Marine, however, this is the kind of challenge for which he has trained his entire life. Up against the most incredible odds, it is up to one man to decide whether he is going to surrender to the elements or if this is going to be his finest hour.